Highly qualified. Attentive to varying needs. Just plain cool. At DeAngelis Studio of Music, we are sensitive to the fact that every student is an individual–from your needs and level of skill and experience, to your musical tastes–and therefore the experience gained by each student will be unique. Your music teachers will work with you to make a plan that will fit your needs (or your child’s) and musical preferences. They will ask you about favorite type of music (ranging from rock, pop, jazz, country, blues, classical, and more) and then will set goals to help you accomplish whatever musical aspirations are expressed. Each of our music teachers are unique and artistic individuals, who are passionate about music and excited to share their knowledge with you. Many have received their education from prestigious institutions, have gone on performance tours of the U.S. and Europe, and have well over 15 years of professional performance and teaching experience. Most importantly, our teachers, your teachers, are dedicated to learning about your personal musical goals and helping you to achieve them. With at least three music teachers for every instrument, we are confident that we have the right teacher to meet your music lesson needs. Check out the bios below to learn more about our amazing music teachers! Mike has been teaching for over 22 years with a music education background which includes Berklee College of Music and 13 years private instruction. Mike has been in the live scene since the age of 14 and has shared the stage with the bands Mr. Big , Poison, Alice in Chains, 3 Days Grace, and has toured from Maine to Miami and as far west as Chicago. Mike also has extensive studio experience with Grammy award winning engineers/producers Dave Leonard and Jay Friggaletto. He gigs during the weekend with his cover band in the areas top venues. As an extremely versatile musician, Mike teaches everything from Rock, Funk, Blues, Metal/Shred to Reggae and Alternative styles, and is well-versed in Treble & Bass Clef and Tablature. He has taught in Atlanta, South Florida, Los Angeles as well as the Greater Boston Area. Eric has been playing guitar for over ten years and has been studying music since the age of five, having started on piano. His background in education includes being instructed by his Berklee College of Music professor father, and private instruction with various teachers throughout his teenage years. Eric is well-versed in blues, jazz, funk, fusion, classic rock, and pop, as well as being competent in metal, and shred. He has also been thoroughly trained in music theory, ear training, counterpoint, and arranging. Eric is a versatile guitarist/bassist with a passion for songwriting and improvisational playing. 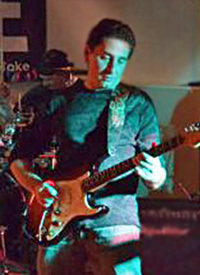 Dean has been performing and teaching guitar for over twenty years. He holds a bachelor’s degree in guitar performance and a master’s degree in music education from the University of Massachusetts, Lowell. Dean has extensive experience with a wide variety of guitar styles including rock, blues, classical, pop, metal and shred. He also has a broad knowledge of music theory, ear training, reading and improvisation. Dean employs a variety of methods to help his students realize their individual goals and visions. Mike’s first taste of music was given to him by his parents and grandmother at the age of 8. He began with the accordion, which quickly led to piano, guitar and drum studies. 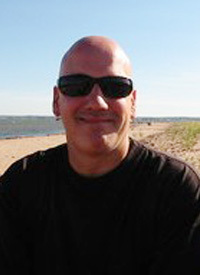 Mike is a full-time professional musician and has taught privately for the past 20 years. 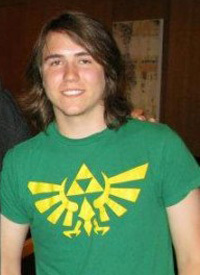 He holds a Bachelor Degree from Ithaca College, where he began his career as a singer, songwriter, and live performer. 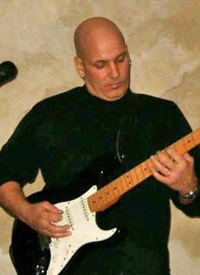 Mike has extensive experience in rock, blues, and pop, with a broad knowledge of music theory and songwriting. Mike believes that every student has their own individual talent and strives to develop their full potential. Adam is a guitar and vocal instructor. With a degree in music and a passion for helping others, Adam helps his students overcome their fears and gain confidence and stage presence. 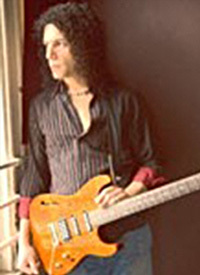 Adam started playing guitar at the age of 11, which soon evolved into vocal training at DeAngelis Studio as a teenager and on to college for his music degree. 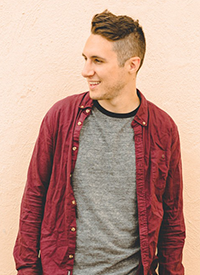 With his love for songwriting and performing, Adam has shared the stage with many national acts playing well-known venues around the east coast and has many “real world” tips and experiences to share with his students. Adam teaches all genres ranging from pop, pop/rock to hard rock, and even some jazz. He has a simple way of breaking things down and making things fun and useful for students. 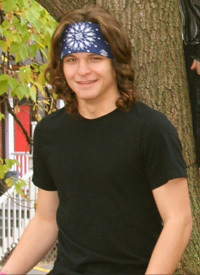 Craig, a graduate of Berklee, specializes in Rock and Jazz styles. Craig’s vast live experience includes various forms of music, from rock to jazz, fusion to funk, to free improvisation. His strict teaching methods and free improvisation have helped to form the basis for his style of teaching and playing — Improvisation to develop a musician’s own style and identity, and a rudimentary vocabulary to help form a basis for expression. Craig’s education and live performance experience will help his students be well-prepared for working in bands and provide them with a continued music education. 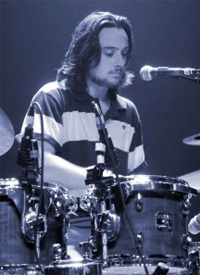 Aaron began playing drums at a very young age and studied at both Berklee College of Music and Keene State College, with a focus on music performance. Aaron’s experience includes working with kids and adults, through all skill levels and music genres, and teaching has become his passion. 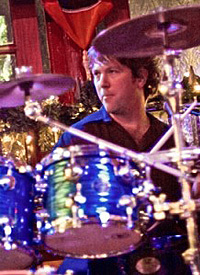 As an active performer of over 13 years, he has shared stages with artists such as, Michael McDonald, The Alabama Shakes, Moe, and Blue Oyster Cult. Aaron is very patient, friendly, and able to adapt to each student’s particular needs. With a focus on proper grip technique, solid hits and good timing, he brings an amazing first hand perspective on what it takes to be a successful drummer and musician. Nick brings a youthfulness to the studio and has a great connection with his students. Nick’s accomplishments include a Guinness World Record as being in the Youngest Professional Rock band in history, having played some of the greatest stages in the North East including the House of Blues, Hard Rock Cafe and the Esplanade, as well as tours in Canada and Germany. Nick’s background includes having been trained with DeAngelis Studio drum instructors for over 9 years, including lead Drum Instructor, Craig. Nick’s unique talent of adapting songs so students can learn and be motivated by some of their favorite music even at beginner levels, teaching proper grip techniques, and finding their groove. Sarah holds her bachelor’s in music from the University of Massachusetts in Boston with a concentration on classical and musical theatre and has been performing for over 13 years. Sarah is a unique and energetic person who helps students with singing technique, confidence, range, and will adapt lessons to individuals needs. She can teach all genres and can help add a depth to students’ performance with additional theatre-based techniques. Sarah can also teach piano and drums. Ian is a professional musical entrepreneur focusing on piano, songwriting, and audio engineering. He is a published songwriter with songs appearing on Access Hollywood, 90210, and various other shows. 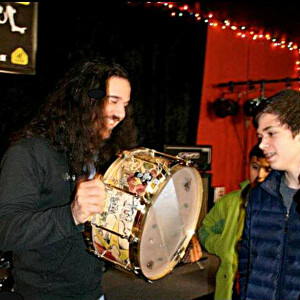 Under the guidance of his father, Marty (Berklee Professor and multiple Gold Record winning session guitarist who worked with artists such as Eddie Money, Dolly Parton, LeAnn Rimes, Neil Diamond, Supertramp, and many others), Ian got to experience the professional industry up close and personal at an early age. Born and raised in Hollywood CA, Ian started taking piano lessons at age 5. At age 12, he and his family moved east to Haverhill MA, where he continued to study piano. 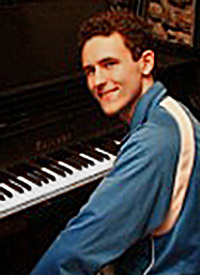 Ian writes and records music for television, movies, and video games; he works as a Recording/Mixing Engineer at his home studio; he plays piano for a number of local artists; he performs at numerous events as a Solo Pianist; and he is also a Musical Director (band leader), where he teaches piano, guitar, and bass guitar. 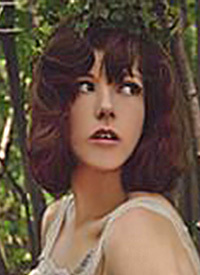 Amanda holds her bachelor’s degree from Endicott College. her passion is teaching, and she loves working with both kids and adults. Her specialty is musical theater and acting and she also enjoys the challenge of learning foreign languages. Amanda is a high-energy, highly focused individual with an eye for detail and a taste for the unique. She believes that being well-rounded is a crucial part to success. 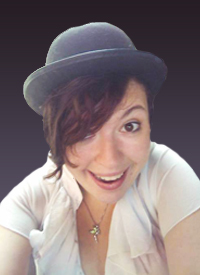 Amanda can teach all genres of music from Classical, to Pop, Rock, Jazz, Blues – you name it. She works extremely hard towards achieving the goals of her students, never hesitating to be flexible to help with her students’ busy schedules. Amanda can teach both voice and piano, and of course, acting and theater.